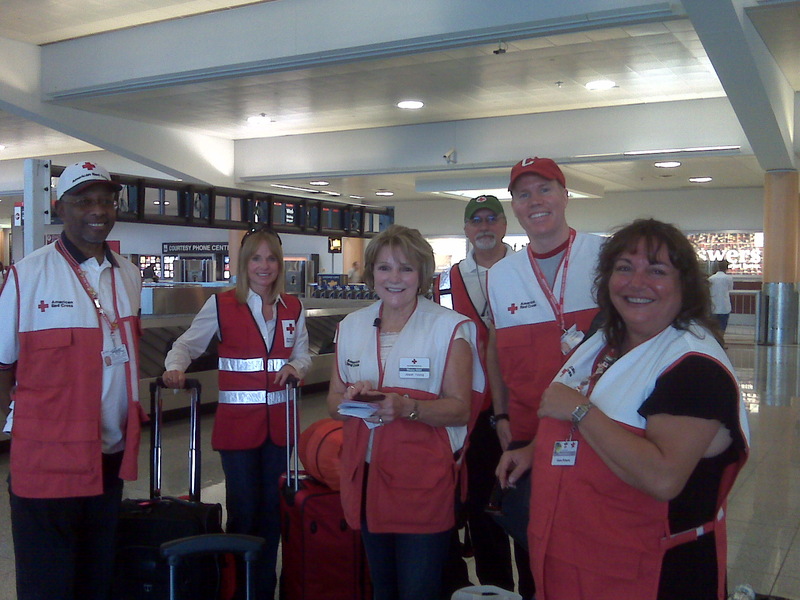 ATLANTA, September 15, 2008 – On yesterday, six Red Cross volunteers left Atlanta‘s Hartsfield International Airport and headed to areas along the Texas Coast where they will conduct disaster assessment in residential areas which were impacted by Hurricane Ike. The group is part of a larger contingent of Red Cross volunteers from around the nation who are providing food, shelter and emotional support for tens of thousands affected by Hurricane Ike, which pummeled portions of the U.S. Gulf Coast. The volunteers, who will specialize in Disaster Assessment which involves the surveying and reporting of storm damage to residential structures, will be part of a larger Red Cross operation which is providing disaster relief to thousands along the Gulf Coast. This entry was posted in General Information, News Releases. Bookmark the permalink.